There is always something going on in the streets of Oaxaca at night. 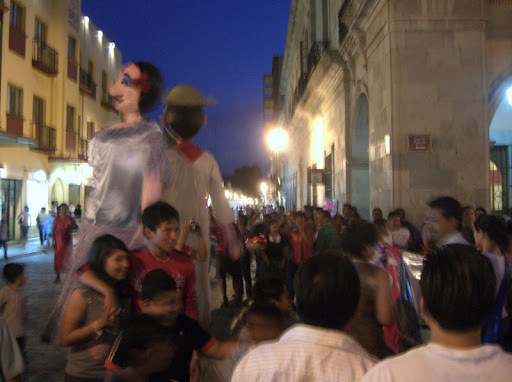 One night, while walking at the edge of the zócalo, we ran into what seems to be a common Oaxacan celebration - a moving party, led by a pair of oversized figures with a small band in tow. 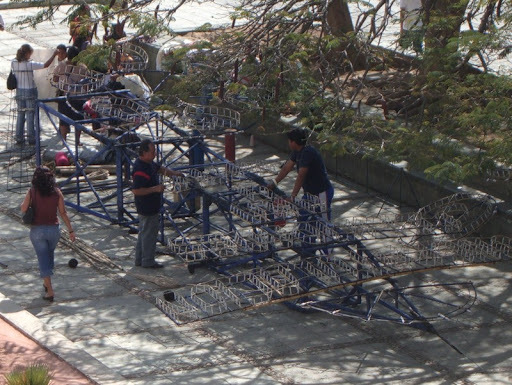 The next day, while visiting the Oaxacan cultural museum, we looked out the window and spotted a few guys working on a fireworks display down below. When we got out of the museum, I asked them when they were going to be set off. It turns out that they were for a wedding. We made a point of coming back for the show. 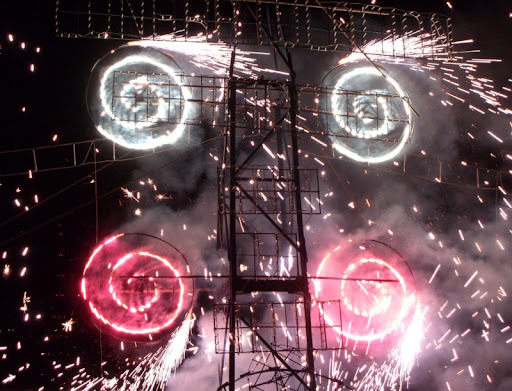 It was quite the impressive display.